Belltech Sport Trucks rear shackle and hanger kits are designed to lower the rear of your vehicle and maintain an OEM-quality ride. They're constructed from heavy-gauge, die-stamped steel to ensure a perfect fit and superior quality. 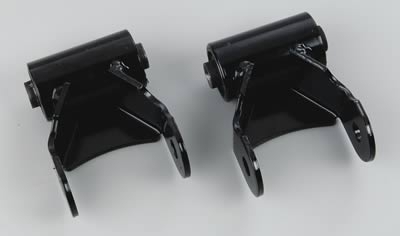 All kits feature a durable powdercoated finish and high-quality hardware.